The Devil’s Kitchen is the name given to the dark, black crack which splits the rock of Clogwyn y Geifr (Cliff of the Goat) between Y Garn and Glyder Fawr. The Welsh name for Devil’s Kitchen is Twll Du, meaning ‘black hole’. Twll Du is known as the Devil’s Kitchen because of the plume of steam that is often seen rising from the crack resembling a chimney. It’s said when steam can be seen rising from the chimney, the Devil was cooking. 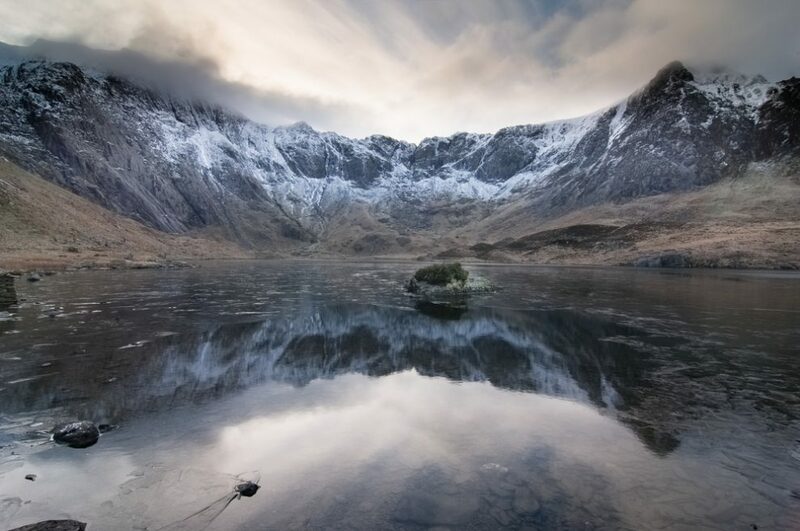 The Devil’s Kitchen is located behind Llyn Idwal nestled within Cwm Idwal in the Ogwen Valley. Cwm Idwal was the first nature reserve in Wales and is also a popular area with Charles Darwin. The A5 runs through the valley so getting to the area is straightforward. There is plenty of parking too. You can use either the designated parking area or park in the lay-bys along the A5 below Tryfan. Ogwen Cottage at the westerly end of Llyn Ogwen is the start of the walk to the Devil’s Kitchen and toilets and refreshments are also available here. Are you ready to explore the Devil’s Kitchen? 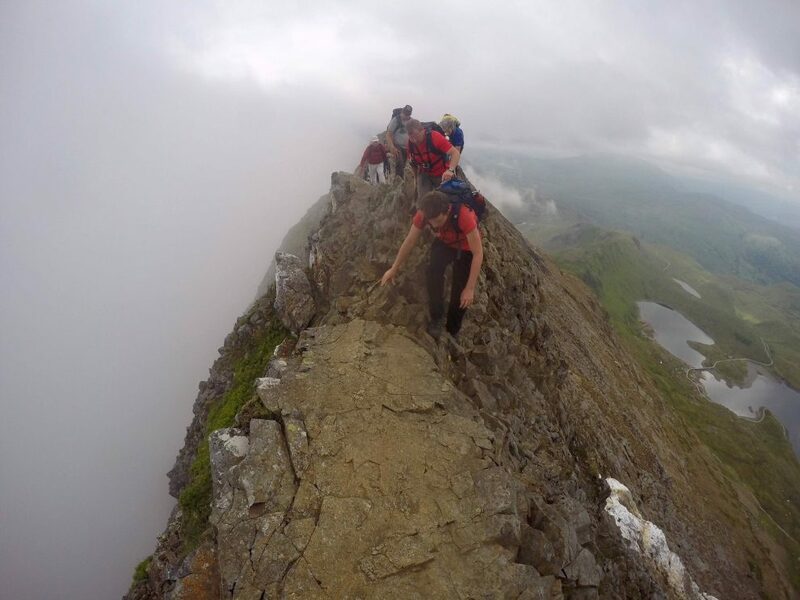 The Devil’s Kitchen is a popular route; its rocky scree slope is climbed by thousands every year. The route to the top, and Llyn y Cwn, is via a fairly easy to follow, but steep, rocky path. Care is needed going up and down the route as the rocky steps can be steep and also slippery in the wet. To the left of Devil’s Kitchen are the Idwal Slabs and the Idwal Buttress, which sits just below the Senior’s Ridge. This is an area popular with rock climbers in the summer and with ice climbers in the winter. There are also a few good scrambling routes at Grade 2, however, these should only really be tackled by those with more experience. This is a short 4.5 mile route which packs in two brilliant scrambles. 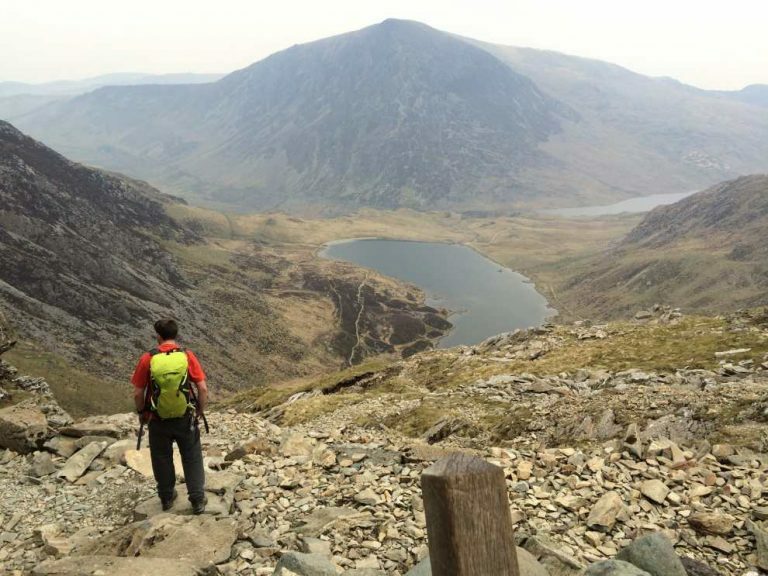 From Ogwen Cottage, take the lake path around Llyn Idwal and follow the rugged path as it takes you up the boulder field in to the Devil’s Kitchen. From the top turn left at Llyn y Cwn towards Glyder Fawr (1001m). Follow the edge of the cliffs to Bwlch y Ddwy-Glyder and make your way down to Y Gribin ridge (scramble) before descending the slopes to Llyn Bochlwyd (east) and back to Ogwen Cottage. This is a slightly longer route at 5 miles, but more challenging with the added ascent of Glyder Fach and the descent of Bristly Ridge. Tryfan would add another mile of slow and steep scrambling to this route if you want to extend it. 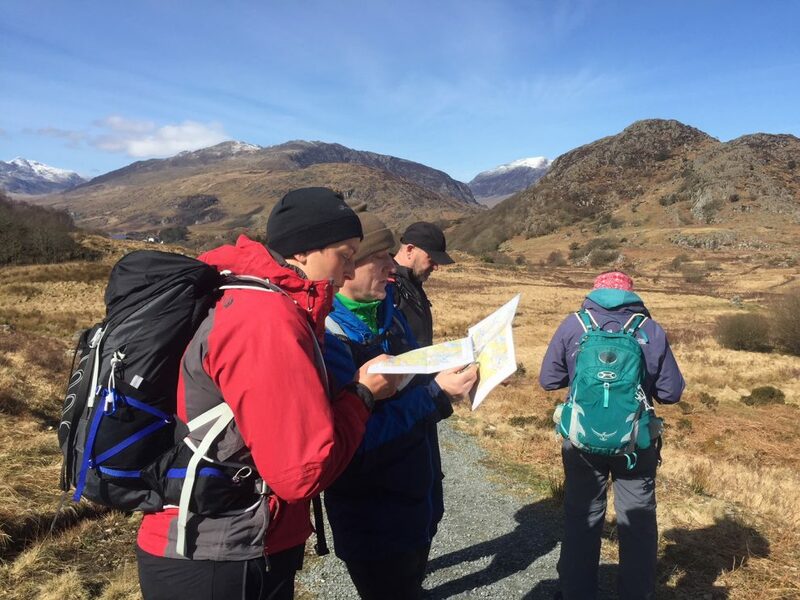 Again starting from Ogwen, follow the same route as above up to Glyder Fawr. Rather than descending via Y Gribin, continue along the cliff edge to Glyder Fach (994) summiting your second 3000ft peak. From Glyder Fach a path runs down and alongside Bristly Ridge to Bwlch Tryfan or for the adventurous tackle Bristly Ridge directly. A path takes you down to Llyn Bochlwyd and on to Ogwen Cottage. For the very adventurous summiting Tryfan and descending its North Ridge would provide the ultimate Ogwen Valley loop. This is a 4.3 mile route which takes in one of the lesser climbed peaks and offers a fun, yet challenging descent down a great peak. As before, follow the path up through Devil’s Kitchen to the flat plateau by Llyn y Cwn. Turn right towards Y Garn (947m). The East Ridge is a steep descent with Cwm Clyd looming down to your right. Llyn Clyd acts as a good marker point on tour right as you head down the steep slope towards the north shore of Llyn Idwal. If you have never scrambled before then why not book yourself on to our Discover Scrambling course in Snowdonia. 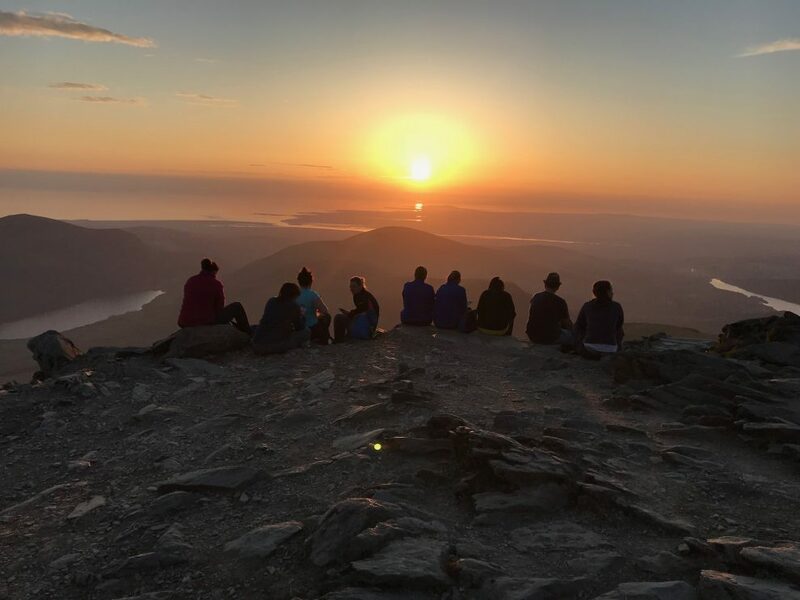 A great way to learn the basics, gain confidence and tackle some of the legendary Snowdonia scrambles. Prefer to keep see rather than explore Devil’s Kitchen? If taking a route directly through the Devil’s Kitchen is not for you, there are plenty of routes around the base of Devil’s Kitchen. One of the most popular walks is a short stroll around Llyn Idwal. This short circular takes you around the lakes and offers stunning views of the area. The route is flat so you won’t need to do any climbing. This is a pleasant walk for those who just want to experience the amphitheatre without having to climb. This 2.5 mile walk should take you just over an hour. 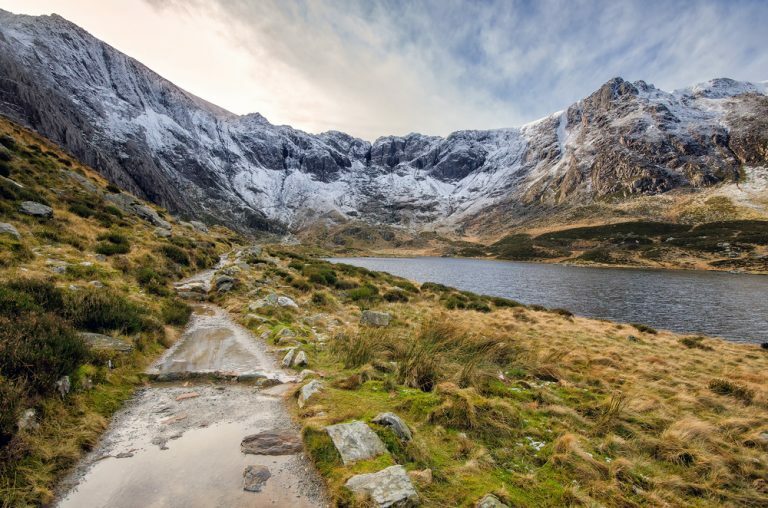 The Ogwen Valley is undoubtedly one of the stunning areas of Snowdonia. 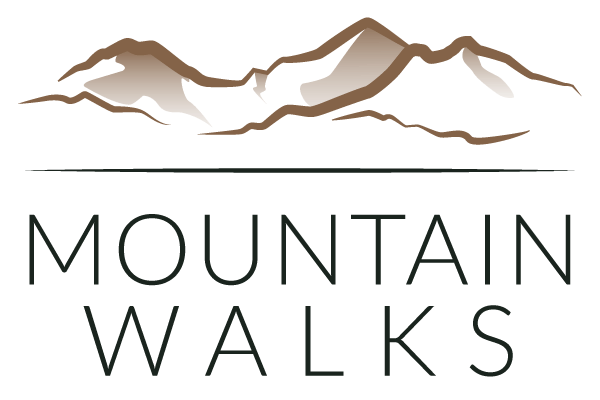 It has steep cliffs, bulky mountains, challenging ridges, lakes, and stunning valleys, which makes this area a walker’s paradise – or indeed a walker’s nightmare if the Devil’s Kitchen spooks you out!